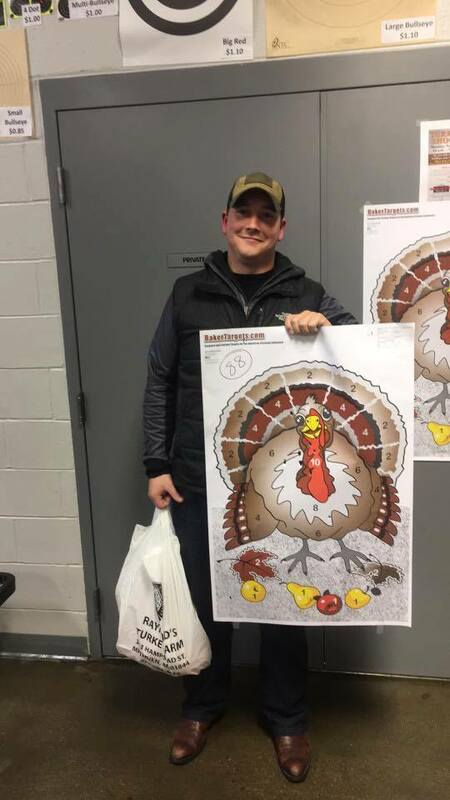 Manchester Firing Line's first Annual Turkey Shoot CHAMPION! Graham's HIGH SCORE OF 88 won him two FRESH TURKEY'S from Raymond's Turkey Farm in Methuen, MA. One Turkey was donated to New Horizon's for New Hampshire Soup Kitchen in Graham's name and the other went home for Graham to enjoy this Thanksgiving! CONGRATULATIONS!